Fear, innate in all of us, is a human instinct. It is nature’s coping mechanism to protect us from the emotional bad stuff. The number one thing people are afraid of is a terrorist attack. Cooking in the kitchen did not make the top ten list. My minor in psychology causes me ponder these things. I grew up in a rural town and some people might say that because of that upbringing I was sheltered from the “real world”. I was exposed to cooking according to how my mom did it in the 60s and 70s. There were five kids in my family and cooking was a way to get food on the table to feed seven people. Cooking with non-traditional ingredients and foods weren’t high on the list. I will never forget my first exposure to garlic. It was 7:00 am on the hospital day shift and the assistant head nurse was giving me me my assignment for the day. She was of Italian descent and she reeked of garlic on her breath. Whoa! That was overpowering! My mother never cooked with real garlic, ever. She used garlic powder or salt that got sprinkled into a sauce or chili. I had no idea such a thing existed. This was the beginning of tackling my fear of cooking. I was determined to overcome foods and ingredients I knew nothing about, one at a time. The basics of cooking are the ingredients, one ingredient building on another. One ingredient can make a recipe sing. So, with respect to garlic, you were my first fear. I looked at you in the produce section all tiny in that wrapping paper of Mother Nature. I wasn’t fond of your strong smell in my hands. But combined with olive oil in a sauté pan and heaven! As you can see below, garlic comes in many forms,already minced in a jar, already peeled in a bag, dried minced and of course garlic powder. With all the focus of cooking magazines, websites, TV shows and features; garlic is available everywhere now. 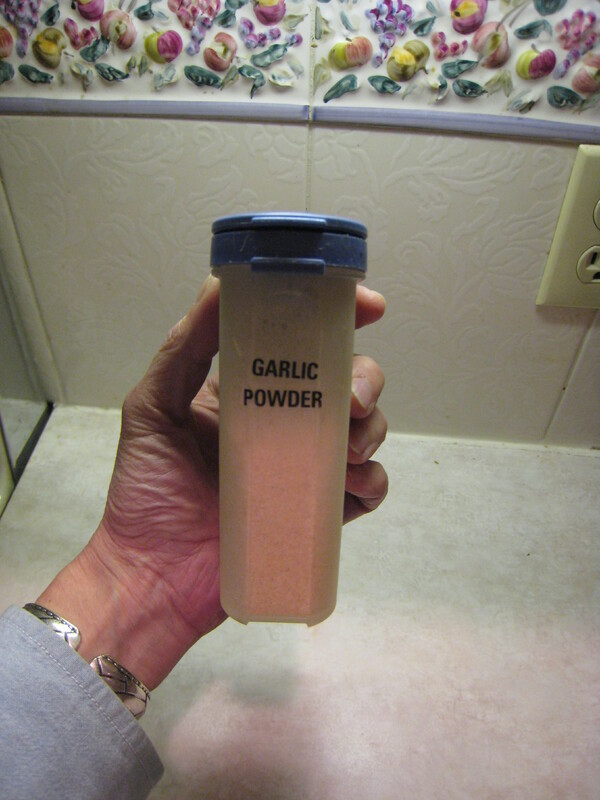 When I started cooking with garlic I started with garlic powder. 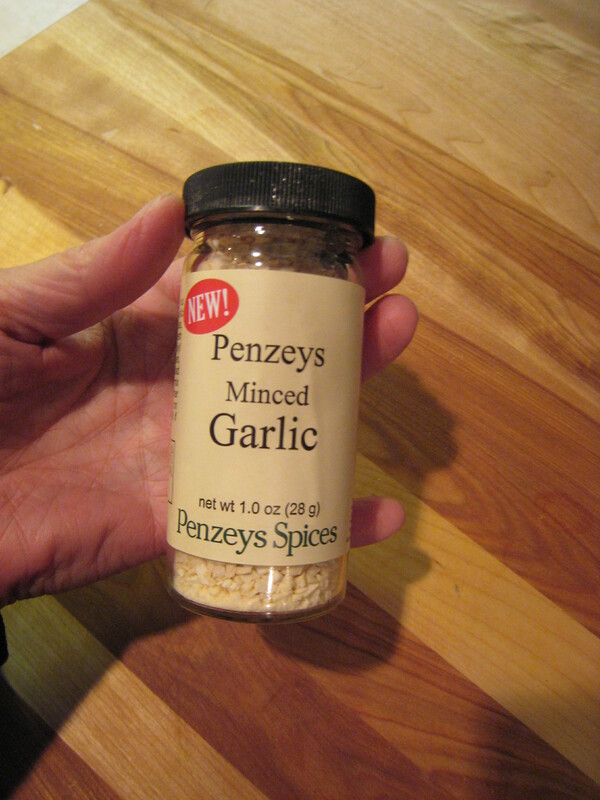 Then I moved to the minced garlic in a jar. Both of these versions didn’t require touching it with my hands. I slowly moved to the real thing and it took an awful lot of practice AND TIME to break open those cloves. 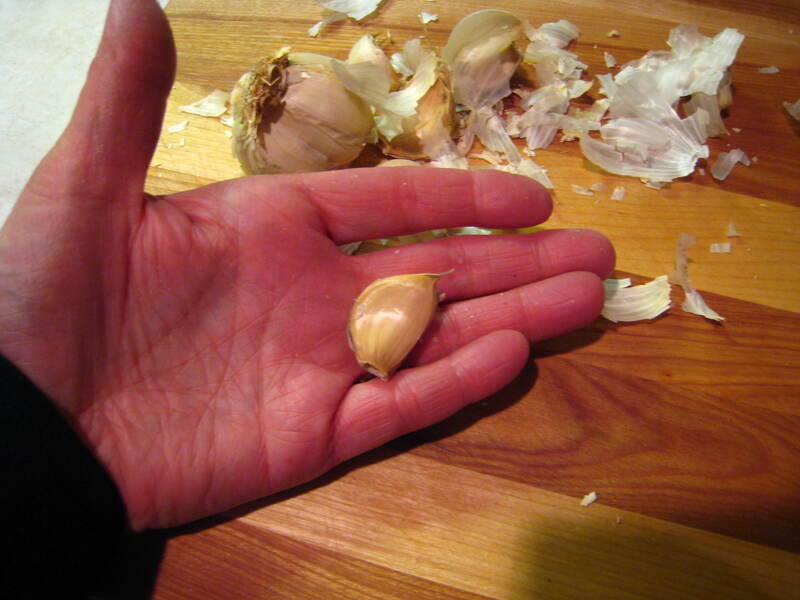 Now, I have broke open many a garlic bulb and the cloves are not always that easy to pull apart and break open. But with practice I have gotten better. Now once it is out of the paper you can put it in a garlic press to mince it (still don’t have to touch it! ), mince it or chop it with a knife (full hands on at this point), or put it whole in the food processor (and let the blades chop it for you). 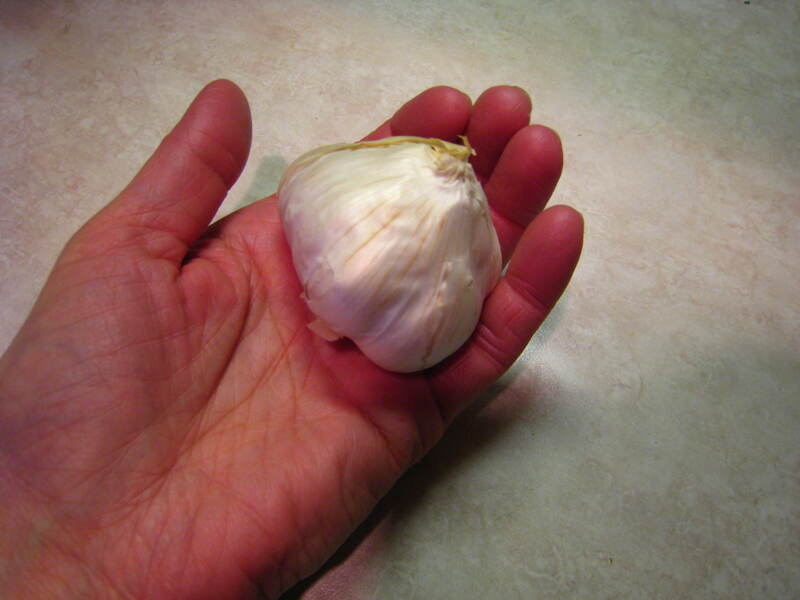 I have seen several ways to get the smell of garlic off your hands, which include: pouring mouthwash over your hands, rubbing your hands with kosher salt and lemon, and rubbing your hands on a piece of silver. Garlic is a member of the onion family. China produces the most garlic in the world with the U.S. 6th in production. Throughout history, many cultures believe in the medicinal properties of garlic. Garlic cloves were swallowed whole or strings of garlic bulbs were worn around necks to ward off viruses and even bacteria. It is available in pill or capsule form in the health food supplement aisle for people trying alternative methods of reducing cholesterol levels. This health benefit has helped the popularity of garlic. Knock on wood, I have not been sick this year. In fact, one day when I felt a cold coming on, I roasted some garlic with vegetables and my sniffles dissipated. One of the best ways I like to use garlic is to get a big piece of aluminum foil and throw 6-8 whole cloves in with fresh beets from the garden, cover it with olive oil and kosher salt﻿. It gets steam-roasted in a 350 degree oven for about an hour. 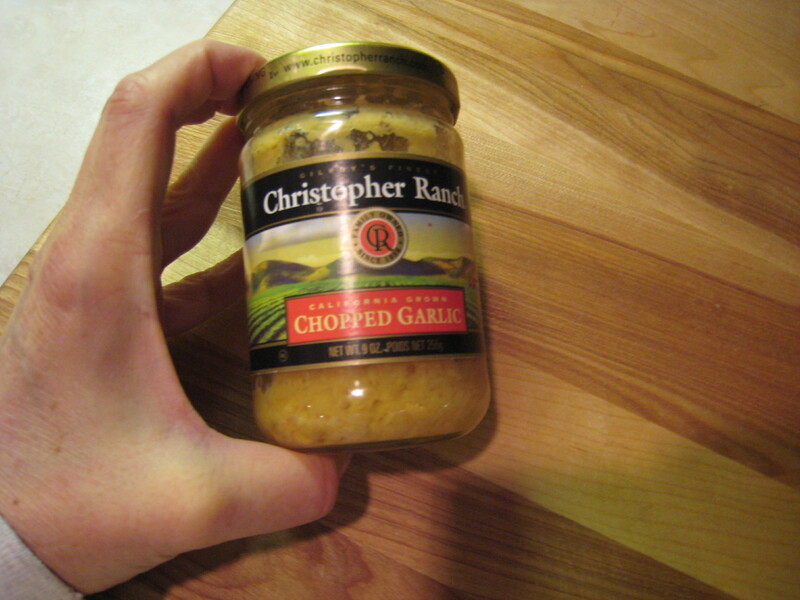 The garlic is so buttery, soft and wonderful that I eat it whole or spread it on a crostini. No offensive garlicky flavor. The nice thing about all these different forms of garlic is that it makes it easier for us as consumers to use it more readily. 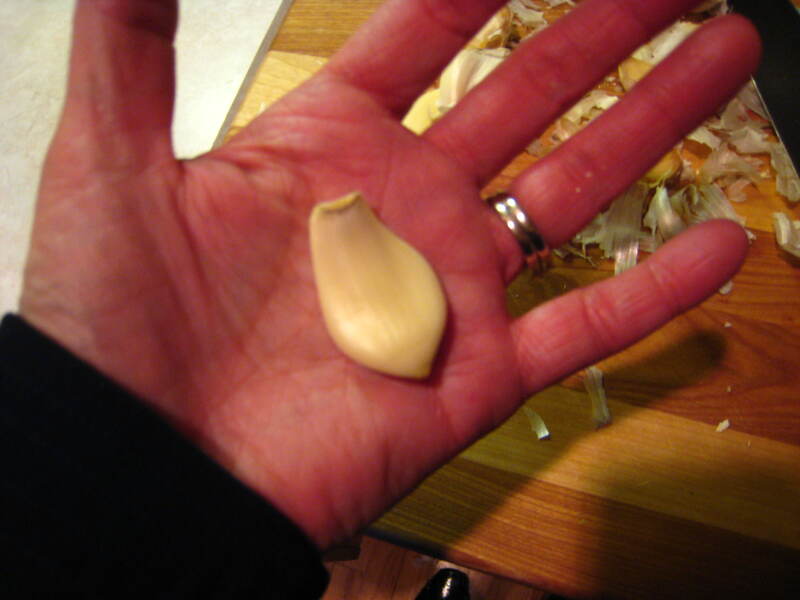 ﻿﻿There is a garlic chicken recipe that calls for 40 cloves of garlic. I saw Alton Brown make it once on “Good Eats.”. 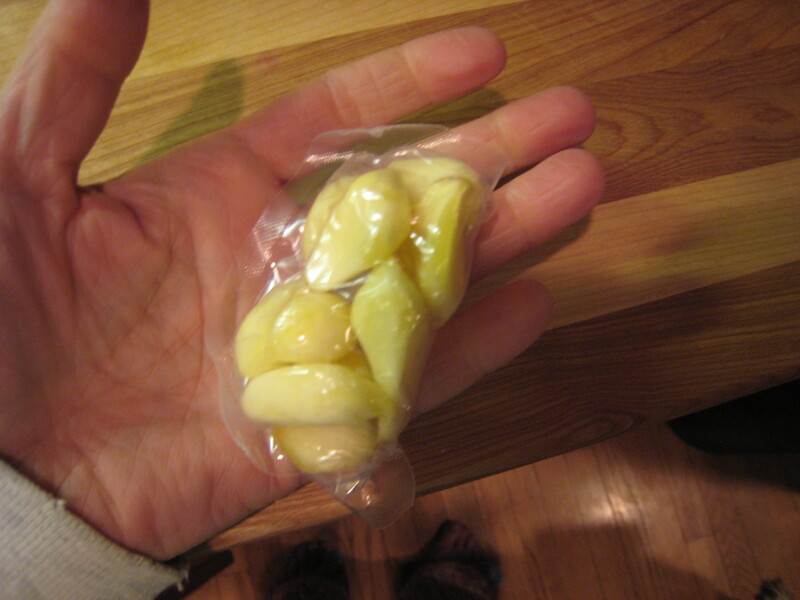 How would you like to unwrap several heads of garlic, smash and peel until you got 40 cloves? That is labor intensive. 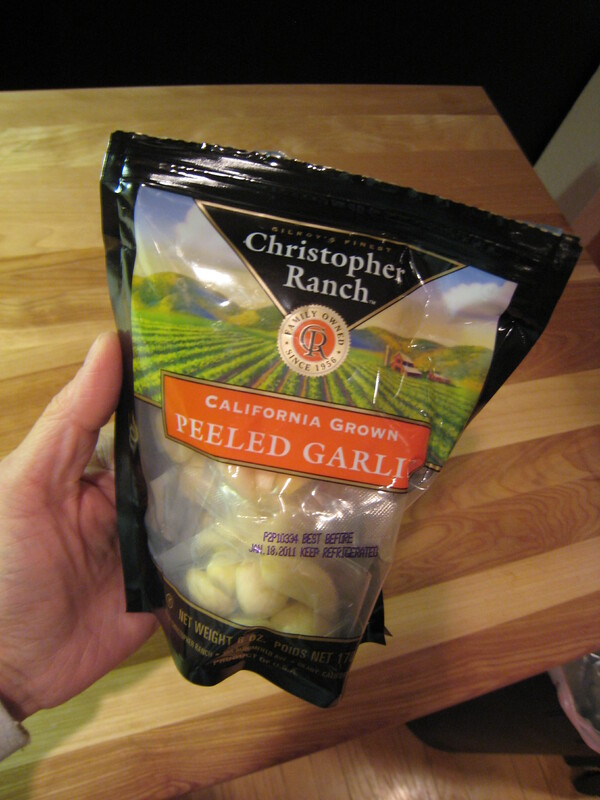 That bag of already peeled garlic would save me 30 minutes of prep time. 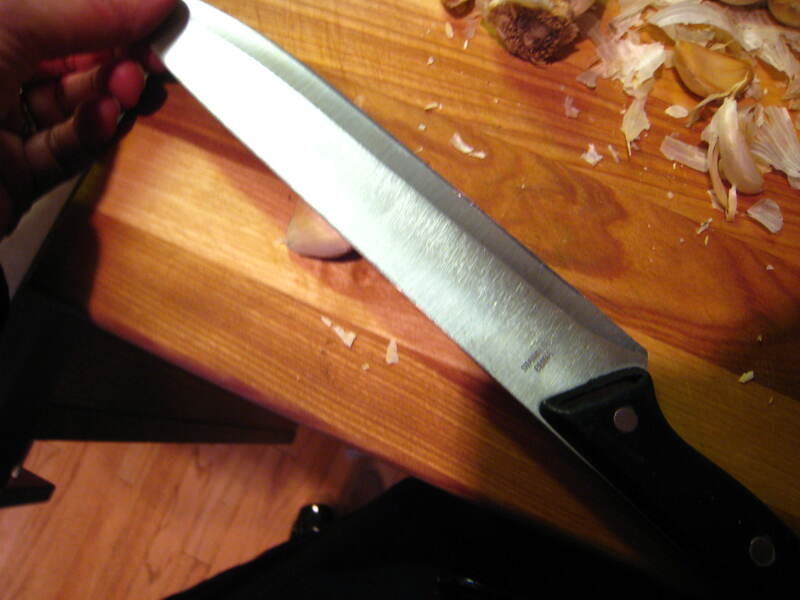 I conquered my fear, but I don’t want to spend my whole day in the kitchen. I do have a full time job afterall. This entry was posted in Cooking, Food, recipes and tagged culture, fear, food, garlic, humor, kitchen, lifestyle, recipes, women. Bookmark the permalink.